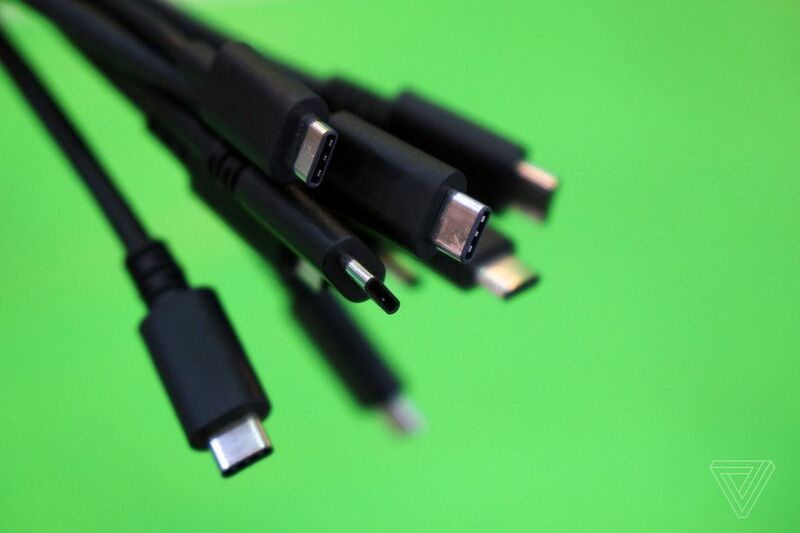 Hot on the heels of USB 3.2 receiving a confusing Gen 2x2 suffix, the USB Implementers Forum (USB-IF) has today announced USB 4, the next version of the ubiquitous connector. Although the draft specification won’t become official until it’s published later this year, the standard is expected to increase its maximum speed to 40 Gbps over the 20 Gbps offered by its current version, USB 3.2. If that speed sounds familiar, then that’s because it’s already offered by the Thunderbolt 3 specification, which first started shipping on devices way back in 2015. However, in order to encourage adoption in 2017 Intel announced that it was going to make the standard available to other chipmakers, allowing anyone to manufacture the technology, royalty free. With USB 4, Intel is finally making good on this promise. If you’re familiar with Thunderbolt 3 then you’ll already know a lot of the specs of USB 4. It will still be able to deliver up to 100W of power, and has enough data throughput for the use of external graphics cards, and to power two 4K displays, or a single 5K display. You’ll need to use cables that are capable of 40 Gbps speeds to enjoy the standard’s full benefits, but any existing Thunderbolt 3 cables (and, for that matter, accessories) you have should work with the new port. All this means that means that USB 4 is essentially just catching up with a three year old technology, but by becoming an open standard it’s likely to become both more widely available and cheaper. That’s true of the computers themselves, but it’s also true of external devices such as monitors, docks, and eGPU enclosures. Outside of its specs, the USB-IF is also hoping to use the USB 4 standard as a means of simplifying the USB ecosystem. Rather than each USB device picking and choosing which aspects of the standard it supports, the group wants to produce a list of features each kind of USB 4 device will have to offer, which could standardize features such as display out and audio out (although the exact features are yet to be determined). This simplification sounds like a sensible approach, but the problem is that USB is an open standard, and so the implementation of any of these recommendations will be voluntary. Companies will be able to have their devices certified by the USB-IF, but this is entirely optional. When I asked a spokesperson from the organization if they’d ever consider imposing mandatory requirements on their manufacturing partners, they suggested it would be almost impossible to police because of the amount of companies using USB. Other confusing aspects of the standard could also stick around. While previous versions of USB have used different color ports to indicate which version of the standard they support, that’s not possible with the USB-C ports that USB 4 will exclusively use (sorry USB Type-A, your days are numbered). There’s no requirement in the standard for manufacturers to add any labels to their ports, or to their cables. Unfortunately the USB-IF was unable to confirm whether the standard’s recently bizarre naming conventions (which last week reached a fever pitch with the announcement of the USB 3.2 Gen 2x2 spec) will continue with USB 4. When I queried them about the recent confusion they said that full branding guidelines will be released after the publication of the final standard. Although USB 4 will integrate Thunderbolt 3’s features, Intel says that the two standards will coexist. While USB 4 is open, Thunderbolt 3 is not, and Intel requires manufacturers to be certified to use it. It also offers these manufacturers more support with reference designs and technical support. USB 4 might have the same specs, but Intel provides other Thunderbolt 3 services that go beyond the hardware itself. The publication of the full USB 4 specification is currently due to arrive in the second half of this year, after which point the USB-IF said that it expects it to be another year and a half before manufacturers start producing devices. After all these years, it looks like the particular annoyances of the USB standard aren’t about to disappear overnight, but at least soon we’ll be able to stop worrying about getting USB confused with Thunderbolt 3.